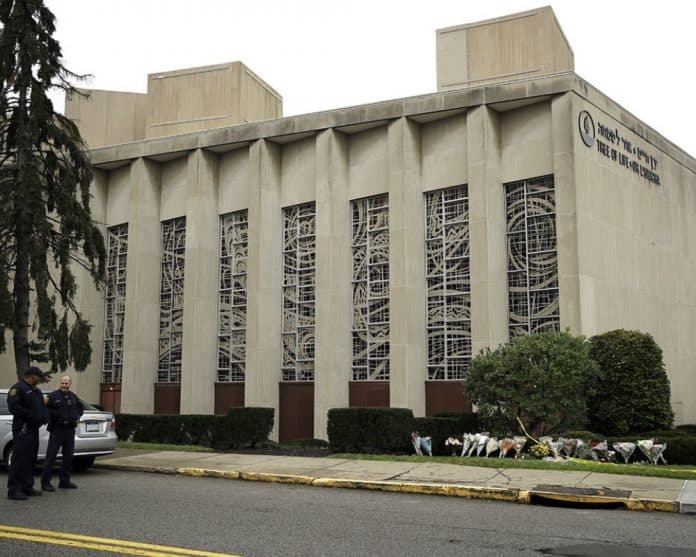 This week, thanks in part to strong support from the Florida delegation, the U.S. House passed a resolution condemning the attack on the Tree of Life synagogue in Pittsburgh that killed 11 people at the end of last month without opposition. Earlier this month, U.S. Rep. Mike Doyle, D-Penn., brought out the resolution and had the cochairs of the House of Representatives Bipartisan Task Force for Combating Anti-Semitism, which has more than 100 members, as cosponsors. Retiring U.S. Rep. Ileana Ros-Lehtinen, R-Fla., the first woman to lead the U.S. House Foreign Affairs Committee, and U.S. Rep. Ted Deutch, D-Fla., are two of the cochairs. Other cochairs include Republican U.S. Reps. Chris Smith of New Jersey, Kay Granger of Texas and Peter Roskam of Illinois and Democrat U.S. Reps. Nita Lowey and Eliot Engel of New York and Marc Veasey of Texas. They released a joint statement on Wednesday after the House passed the resolution. “We are glad to see this resolution pass the House unanimously, which reaffirms the House’s commitment to fighting anti-Semitism in all its forms here at home and around the world. Just yesterday, the FBI released its 2017 hate crime statistics, showing a 37 percent increase in anti-Semitic incidents in the U.S. from 2016. We will carry the memory of those lost in the Tree of Life synagogue building attack, the deadliest anti-Semitic incident in U.S. history, and work to ensure that all Americans are free to worship in peace and security,” they said. Four other members of the Florida delegation–Republican U.S. Rep. Gus Bilirakis and Democrats U.S. Reps. Lois Frankel, Alcee Hastings and Debbie Wasserman Schultz–also signed on as cosponsors.